As you can see YouTube is working. 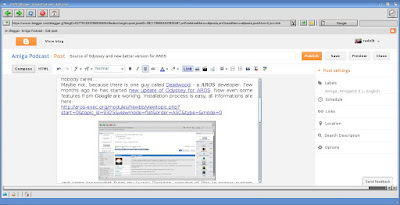 Blogger (from Google) too!! 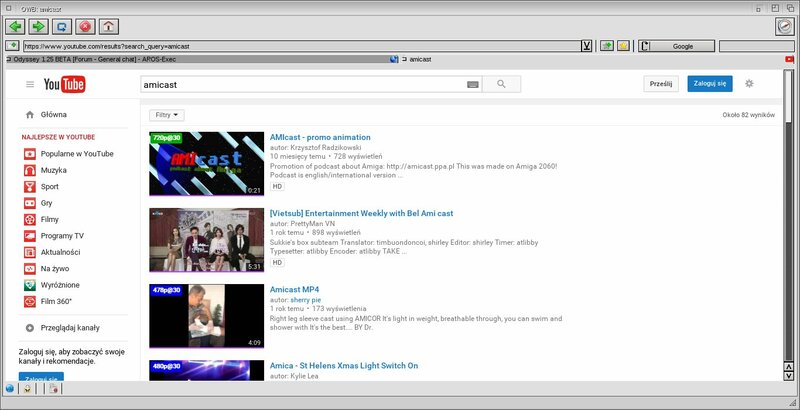 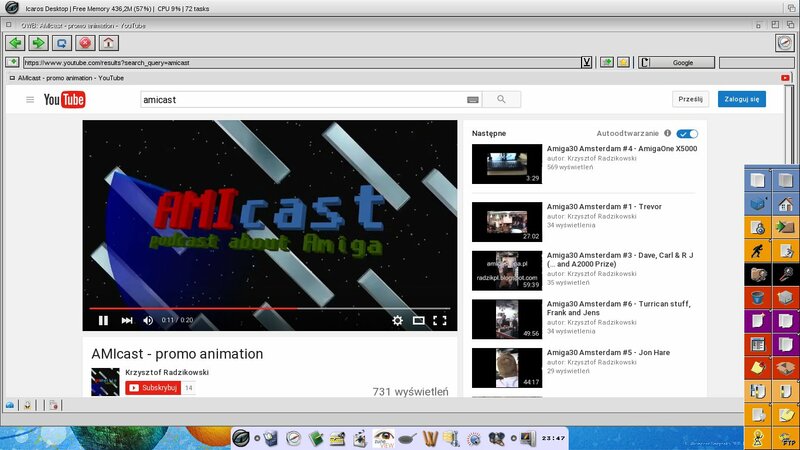 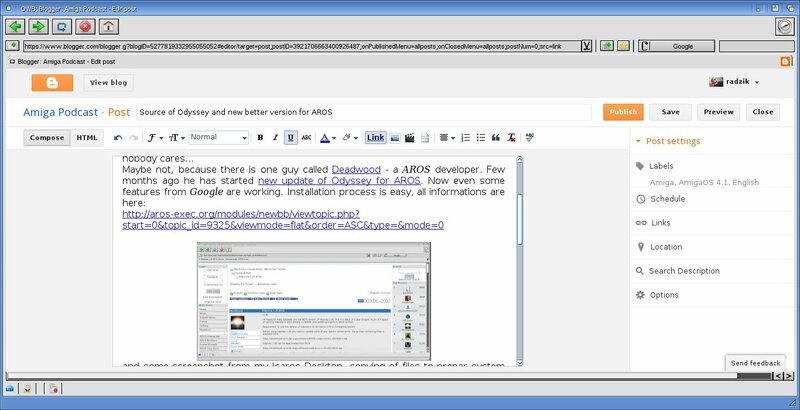 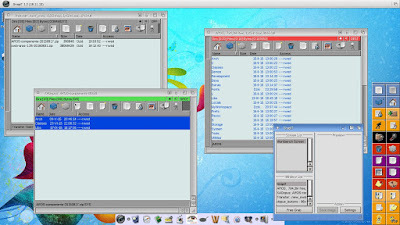 Sources of Odyssey are available on the Aminet, is it now possible to make one team and develop new or updated web browser for AmigaOS, MorphOS and AROS? I need to share it with my friend and I have to admit that it's the best site for me.